We’ve all heard of Botox, and chances are we know people who’ve tried it. But what is Botox? Does it leave your face numb? Is it worth considering? Our blogger—who gave it a go to prevent migraines—answers your burning Botox questions. What is botox? It's a treatment used not only for cosmetic reasons, but to address such medical issues as migraine headaches. First off, let’s try to keep this between us. I never thought I’d be the type of person to agree to Botox, much less someone who appreciates the lack of wrinkles on my now-smooth forehead. I’m a naturalist when it comes to self-care. I hate mirrors and rarely wear makeup. So, when my neurologist suggested I try Botox to relieve my chronic migraines, my initial reaction was: Heck no! In all my years of researching health topics, Botox is one I’d never queried, mainly because I thought I’d never try it. I was scientifically blind in this area. Questions like “What is Botox?” and “What will it do to me?” and “Do I really want poison in my face?” spun around my brain after his suggestion. A month-long migraine later, I was back in his office staring up at a needle between my brows. Here’s what I learned. We’ve all heard the rumors: Botox is rat poison, horse tranquilizer, a chemical that will give us food poisoning. But what is Botox, really? Botox, which is the common name for onabotulinum toxin A, is made from a neurotoxin called botulinum. It’s produced by the bacteria Clostridium botulinum. Yes, it is a poison, and a powerful one at that. In fact, it’s the same toxin that causes botulism—a fatal type of food poisoning. Because it’s injected into muscles and doesn’t bypass the stomach, there’s no risk of contracting botulism from Botox. Phew! Insider tip: Botox won’t have an effect on lines and wrinkles caused by the sun, so make sure to apply sunblock when you’re outside. Prone to bruising? Stop taking anti-inflammatories and aspirin for two weeks before your injection to try to minimize the negative effects. That said, always check with your doctor before stopping (or starting) any medication. Numerous studies have proven Botox’s positive benefits on conditions such as chronic migraine, overactive bladder, blepharospasm (uncontrollable blinking), muscular disorders, and excessive sweating, especially under the arms. A review published in the journal Drugs, for instance, found Botox to be “an effective and generally well-tolerated option for the prevention of [chronic migraine],” especially in people who didn’t have success with commonly prescribed medications. The entire procedure takes mere minutes, but results will appear in anywhere from seven to 14 days. Sadly, the results of Botox won’t last beyond three to six months. At this point, the lines and wrinkles will reappear, and the muscles will reengage. However, the more often an area is treated with Botox, the less severe the lines and wrinkles appear due to shrinking of the muscles. 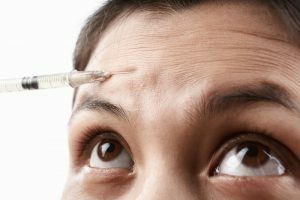 Botox injections themselves, our blogger reports from personal experience, do cause discomfort, as you may speculate. I’m going to be honest here: Having needles poked into your face is not the most enjoyable sensation. As my neurologist explained, the needles are “threaded” under the skin, not just poked in (as they are with acupuncture). The process, for me, led to a short-lived discomfort that felt worse on the spots between my eyebrows and at the edge of my hairline than it did in my jaw, neck, temples, and shoulders. Some doctors apply a numbing cream before performing the injections to reduce tenderness. About five hours post injection, my forehead began to feel a bit tight when I moved my eyebrows up and down (don’t judge—I was moving them rapidly to see if my wrinkles had disappeared). The other injected areas (temples, jaw, neck, and shoulders) felt normal. Over time, this forehead “tightness” eased, and now I notice it only if I bring my eyebrows up toward my hairline in an exaggerated surprised face (again, checking for wrinkles—I’m still amazed that they’ve totally disappeared). This will depend on your insurance policy, but in general, Botox is not covered when used for cosmetic purposes. When used to treat medical conditions such as chronic migraines, however, it may likely be covered. As with all good things, Botox has drawbacks. The main side effect is bruising, although localized pain and swelling can also occur. Headaches can crop up after an injection, but usually let up after 24 to 48 hours. Another downside: the potential for eyelid drooping. If you rub the injected area within 12 to 24 hours following your treatment, it can move the Botox around, resulting in this condition. Some may also notice that one eyebrow appears higher than the other. This could be due to having stronger muscles on one side of your face. 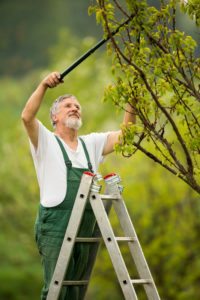 If you return to your doctor, he can reinject the “higher” side to level things. Warning: Do not have Botox if you’re pregnant or breastfeeding or if you suffer from a neurological condition. The only person who should inject you with Botox is a trained professional. Check your doctor’s credentials before signing up for a treatment. Choose someone who is trained in facial plastic surgery to ensure the best results. You don’t want to end up with a face that doesn’t move, or with lopsided eyebrows. aging, bacteria, brain, breastfeeding, chronic migraines, food, food poisoning, foods that prevent wrinkles, headache cures, headaches, health, health topics, medical conditions, melatonin, melatonin benefits, migraine, migraines, pain, skin. I love knowing that Botox is the perfect way to get rid of wrinkles. Making sure that the cosmetic procedure is capable of this is a great relief. My aunt would love this insight as she looks for ways to regain her younger appearance. I never knew that Botox could be used for any excessive sweating that you may have. My wife and I have been thinking of getting a new house, and we are concerned that the area we are moving into will be too hot. I will be sure to tell my wife that we should try and look into Botox if we are sweating too much! I thought you might be interested in this article on https://universityhealthnews.com: What Is Botox?